WWE Raw Star Set For Immediate Monster Push? Which popular Raw wrestler are WWE above to strap the rocket to? Although it looks like WWE are dialling back on Braun Strowman's push in the wake of new backstage heat suggestions, another popular Raw Superstar is set profit from his apparent demotion. Per WrestleVotes, recent speculation that Triple H and Vince McMahon are extremely high on Drew McIntyre is about to be proven correct, and his monster push starts now. This isn't particularly surprising. Countless wrestling media outlets have predicted it for months, with Dave Meltzer writing in a recent Wrestling Observer Newsletter that WWE see McIntyre as a potential money-making headliner, and other sources corroborating. Now, it looks like the Scot is about to be fast-tracked to the top. Though the early Shawn Michaels/Diesel comparisons seemed far-fetched, McIntyre's alliance with Dolph Ziggler has been fruitful. 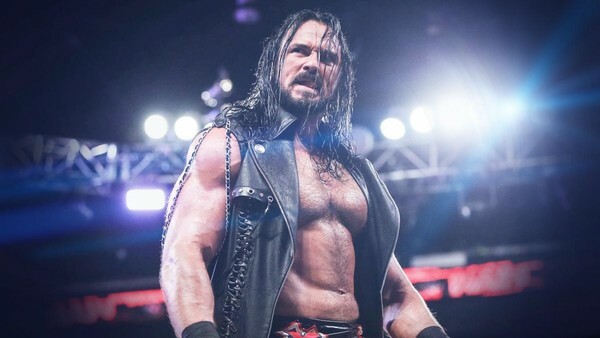 The Two Dudes With Attitudes parallels are more apparent with each passing week, and with WWE continually presenting Drew as the clear star of the double-act, it shouldn't be long before he's ploughing his own furrow. This week's Raw saw McIntyre tap the decorated Kurt Angle out with his own Ankle Lock. It was a well-told 'passing the torch' story, and could well be McIntyre's springboard to greatness.